Global positioning system navigation (GPS) is the fastest growing type of navigation in aviation. It is accomplished through the use of NAVSTAR satellites set and maintained in orbit around the earth. Continuous coded transmissions from the satellites facilitate locating the position of an aircraft equipped with a GPS receiver with extreme accuracy. 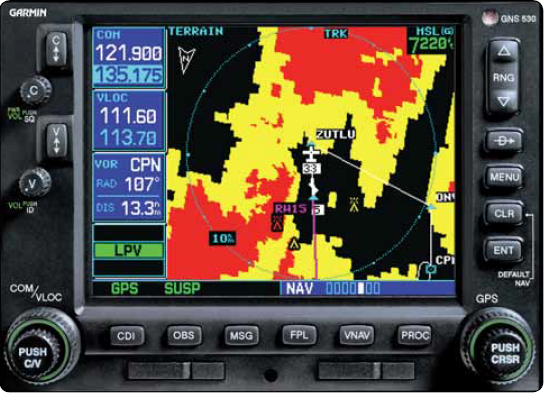 GPS can be utilized on its own for en route navigation, or it can be integrated into other navigation systems, such as VOR/RNAV, inertial reference, or flight management systems. There are three segments of GPS: the space segment, the control segment, and the user segment. Aircraft technicians are only involved with user segment equipment such as GPS receivers, displays, and antennas. Two signals loaded with digitally coded information are transmitted from each satellite. 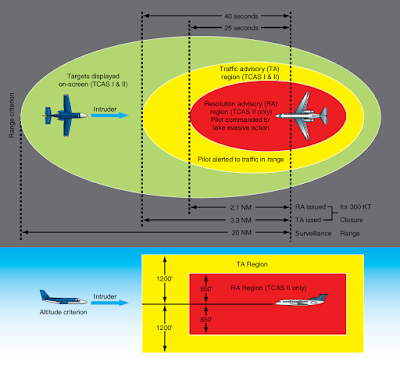 The L1 channel transmission on a1575.42 MHz carrier frequency is used in civilian aviation. Satellite identification, position, and time are conveyed to the aircraft GPS receiver on this digitally modulated signal along with status and other information. An L2 channel 1227.60 MHz transmission is used by the military. The amount of time it takes for signals to reach the aircraft GPS receiver from transmitting satellites is combined with each satellite’s exact location to calculate the position of an aircraft. The control segment of the GPS monitors each satellite to ensure its location and time are precise. This control is accomplished with five ground-based receiving stations, a master control station, and three transmitting antenna. The receiving stations forward status information received from the satellites to the master control station. Calculations are made and corrective instructions are sent to the satellites via the transmitters. The GPS receiver measures the time it takes for a signal to arrive from three transmitting satellites. Since radio waves travel at 186,000 miles per second, the distance to each satellite can be calculated. The intersection of these ranges provides a two dimensional position of the aircraft. It is expressed in latitude/longitude coordinates. By incorporating the distance to a fourth satellite, the altitude above the surface of the earth can be calculated as well. This results in a three dimensional fix. Additional satellite inputs refine the accuracy of the position. Having deciphered the position of the aircraft, the GPS unit processes many useful navigational outputs such as speed, direction, bearing to a waypoint, distance traveled, time of arrival, and more. These can be selected to display for use. Waypoints can be entered and stored in the unit’s memory. Terrain features, airport data, VOR/RNAV and approach information, communication frequencies, and more can also be loaded into a GPS unit. Most modern units come with moving map display capability. A main benefit of GPS use is immunity from service disruption due to weather. Errors are introduced while the carrier waves travel through the ionosphere; however, these are corrected and kept to a minimum. GPS is also relatively inexpensive. GPS receivers for IFR navigation in aircraft must be built to TSO-129A. This raises the price above that of handheld units used for hiking or in an automobile. But the overall cost of GPS is low due to its small infrastructure. Most of the inherent accuracy is built into the space and control segments permitting reliable positioning with inexpensive user equipment. The accuracy of current GPS is within 20 meters horizontally and a bit more vertically. This is sufficient for en route navigation with greater accuracy than required. However, departures and approaches require more stringent accuracy. Integration of the wide area augmentation system (WAAS) improves GPS accuracy to within 7.6 meters and is discussed below. The future of GPS calls for additional accuracy by adding two new transmissions from each satellite. An L2C channel will be for general use in non-safety critical application. An aviation dedicated L5 channel will provide the accuracy required for category I, II, and III landings. It will enable the NEXTGEN NAS plan along with ADS-B. The first replacement NAVSTAR satellites with L2C and L5 capability have already been launched. Full implementation is schedule by 2015. 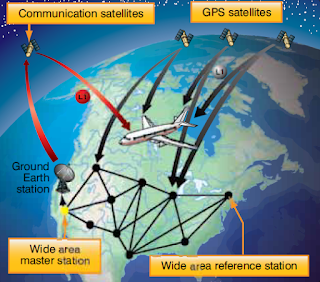 To increase the accuracy of GPS for aircraft navigation, the wide area augmentation system (WAAS) was developed. It consists of approximately 25 precisely surveyed ground stations that receive GPS signals and ultimately transmit correction information to the aircraft. An overview of WAAS components and its operation is shown in Figure 3. The wide area augmentation system (WAAS) is used to refine GPS positions to a greater degree of accuracy. A WAAS enabled GPS receiver is required for its use as corrective information is sent from geostationary satellites directly to an aircraft’s GPS receiver for use. WAAS ground stations receive GPS signals and forward position errors to two master ground stations. Time and location information is analyzed, and correction instructions are sent to communication satellites in geostationary orbit over the NAS. 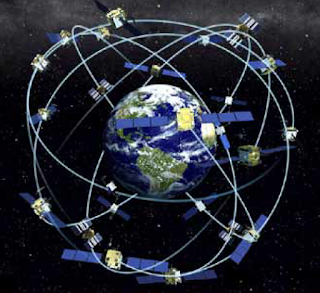 The satellites broadcast GPS-like signals that WAAS enabled GPS receivers use to correct position information received from GPS satellites. A WAAS enable GPS receiver is required to use the wide area augmentation system. If equipped, an aircraft qualifies to perform precision approaches into thousands of airports without any ground-based approach equipment. Separation minimums are also able to be reduced between aircraft that are WAAS equipped. The WAAS system is known to reduce position errors to 1–3 meters laterally and vertically.